Blaze has been spayed for a couple of months now and is doing fantastic. She is being Blaze, with all her quirks and silly attitudes and I have been breathing a great sigh of relief after she finally healed up because she is still my girl. One of my many fears with getting Blaze spayed was what I experienced with Silver who was spayed at five years old, one year after having her puppies. Silver had a hormonal imbalance that caused false pregnancy, depression, and anxieties. She passed this on to her daughter Blaze. When Blaze was returned to us (she is one of the pups from our litter) I couldn't have two intact females along with Brut and the rest of the dogs. The whole situation with Blaze coming back was chaotic enough and we had to make a decision of spaying Silver or Blaze. Since Silver already had a litter of pups, we decided to keep Blaze intact if we ever wanted another litter to keep for ourselves. It took Silver nearly a year and half to come back to herself after being spayed. She was mopey and depressed for a long time and just didn't seem herself anymore. There were many contributing factors at time that I think made the difference between Blaze having such a speedy recovery while Silver took so long. One of the biggest difference between Silver and Blaze was that Silver had just had her first pregnancy and litter about 9 months before and was at the beginning of her first cycle since being pregnant when we had her spayed. This meant her hormones were soaring and she was probably emotionally looking forward to being pregnant again. Blaze we had fixed after her entire heat cycle, including the false pregnancy was over. Our vet was booked up for surgeries at the time and we ended up having to take Silver to a different vet in order to have the procedure done. 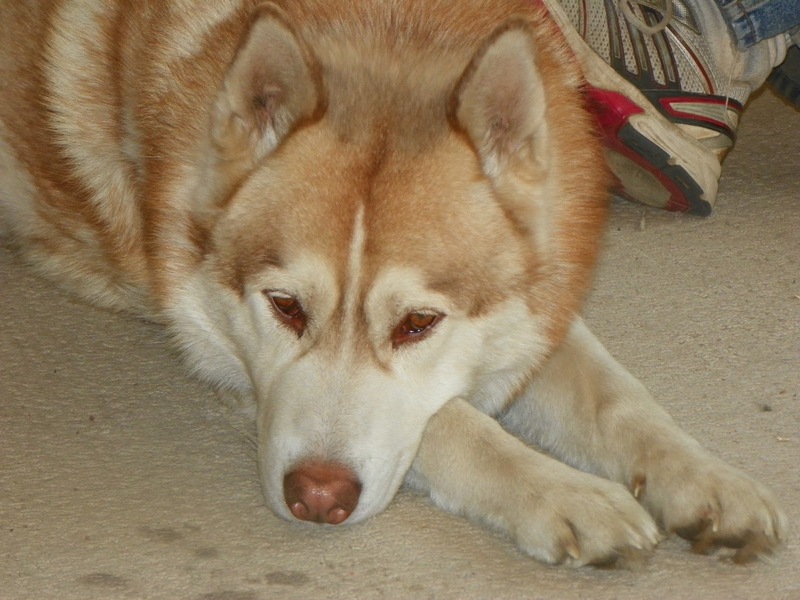 Blaze was done at our primary vet and we were comfortable with her there. Silver was sick from the anesthesia and I stayed up with her while she vomited all night long. She really took the whole thing pretty hard. Blaze was fine and slept through her first night home. Life at our house had just changed with Blaze coming back and dividing the house. Everything was out of control, especially Brut which made Silver's healing all that more difficult. When I look back at that time period, I can barely remember it, except for that first night Silver was home. That's how crazy things were. About the time frame that Silver came back around to being herself again, was about the same time that things began to calm and settle in the house of the 24 Paws. Silver kind of got the raw end of the deal with our urgency to fix her in order to create less problems whereas with Blaze I was able to take care of her better and not make the same mistakes I did with Silver. I don't know if this info may help anyone else out, but there are definitely things I would do different with Silver if I had it to do over again. I would wait until she went through her heat rather than do it right before including going through the false pregnancy. Although as hard as the spaying was on her, it might have been a blessing that she didn't go through a false pregnancy, after finally having a real one. That may have been a bonus I didn't think of. And I know her progress was slower or didn't show as clearly because of the upheaval in our home with Blaze coming back and then Chance. That knocked all of us off our feet and I'm sure Silver as well. All in all I'm just glad they both made it through the surgery and are both sound and happy dogs. It is still amazing to me what time will do for all of us. 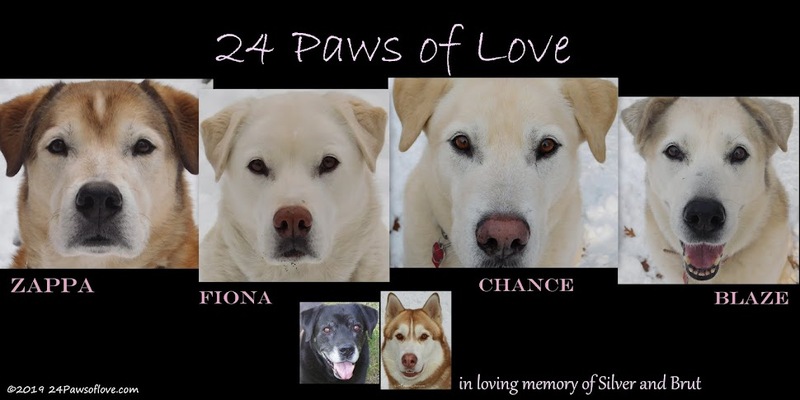 No, no, not us, the 24 Paws of Love! We have met a friend who walks her year and a half old pup, Callie, and is willing to brave the 24 Paws of Love, while we walk on the other side of the road. The first couple of walks I took Fiona as she is the least reactive and the most tolerable with dogs. Callie was pretty excited to see us. She loves other dogs. Fiona didn't pay any attention to her. So we get about half way around the block and we are on a two track path. Dogs were walking closer at the point. Still all is good. And I'm like, you want to do what?? Sniff me?? I don't think so! After the last turn, My friend and I are talking while Fiona and Callie were practically side by side. Next thing we know Callie went to sniff Fiona's nose and Fiona turned and snapped at her muzzle. I said she was tolerable and her hips were probably sore after such a long walk. I felt a little bad. But it was just a warning from Fiona to give her some room. We went another time with Fiona, on a shorter route and without incident. So last night I tried Zappa. Meeting up with my friend and Callie, Zappa went crazy, so did Callie. Through the first part of the walk Zappa gave warning barks mixed in with playful ones, lunged, jumped on his hind legs, then he'd walk for a while and start acting out again. Callie, on the other hand was completely ignoring Zappa. My friend commented that Zappa's expression was a happy one, when we both came to conclusion Zappa didn't know what to do. He was trying to get a reaction out of Callie and she was indifferent to him. It took about half of the walk for Zappa to settle down and finally relax into an easy gait and just enjoy the walk. It was about then his curiosity was getting the better of him and he wonder who this foxy little girl dog was...he kept focused on her for the rest of the walk. We did no intros, maybe next time when he feels a little more comfortable to start. I remember this was how we introduce Zappa to Blaze. Little by little until I felt comfortable they could make contact. And I hope to have some pics of our walks together and cute little Callie! 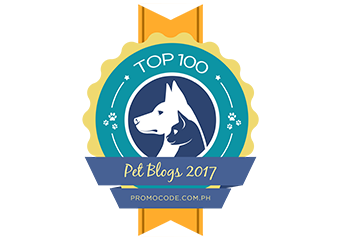 Check out our article in PetUpon emagazine, "Meet the two packs"
I'd just got done walking Blaze and Chance on separate walks, I let the Back Dogs outside. They were all pretty hyped up thinking they were next, especially Brut, he'll do anything to go on a walk. Brut, Silver and Zappa were on the back deck, right in front of the sliding glass door. There was potential of tension with the boys being so frantic and close to each other, but I blew it off. Things were going so well and Zappa tends to take pretty good care of himself when it comes to Brut. I had just opened the freeze for some ice, when I heard that all too familiar sound of fighting dogs. I ran from the kitchen through the door that separtates the two packs and saw Brut and Zappa standing on hind legs leaning against the other glaring and growling at each other. I had no idea what to do next. Any move I was to make was going to set Brut off. So I watched and waited thinking maybe, just maybe one of them would concede. Not likely but they were not fighting at this moment and I thought they might just resolve it on their own. Then just as quickly the fight started again. I banged on the glass door and they quickly broke up. Zappa was hurt, limping and whimpering. I took care of him first with some antibiotic cream and gave him a boo-boo sock to wear as he slowly began to calm down. I was angry that Zappa was hurt. Which meant I was angry at Brut. So I sort of ignored him the rest of the day. He tried to be all lovely dovey with me, but I was quite firm with him. Later in the evening he tried to intimate Zappa and strut around like he was top dog. I sent him to his room. It wasn't until bedtime when he laid at my feet and I began to tell him I was angry with him that it really hit me why I was angry. One, because he hurt Zappa and two because it was more my fault than Brut's. I saw the recipe for a fight in the making and I knew Brut has been a bit testy lately and I made the mistake of overlooking both those factors. And I confessed my part to Brut. And while we had a quick make up session, I'm still not thoroughly settled. A dog fight is still hard for me to digest very easily. No worries though, Brut and I will probably have a good heart to heart talk about it and forgive each other. This is just another way to keep me on my toes and not let my guard down so much. Fights used to be the end of the world feeling and it would take me days to make peace with Brut. Now they so rarely happen anymore it is just a good reminder that my job as a dog mom is never done. About yesterday's Black/White Photo, you all guessed Chance and you were all right! It had been a long couple of days. A friend of ours had died at the beginning of the year and we helped with the cleaning out of the house. It left me depleted and empty as his death was now more final. I found myself angry with my life and life in general. I was almost shaking I was so angry and disappointed. I started talking to God and voiced my feelings, in a list, of what was bothering me the most. I didn't get very far when Brut sat in front of me and stared into my eyes with a look that said, but you have me and you have the only Brut there is. And he was right. I had the only Bruter on the planet right at my feet. My awesome heart dog who understood my feelings when no one else did. All he was asking in return was a little quality time together and preferably with treats. Simple tricks, touch, give me five, eye contact for saying his name. Nothing fancy or rowdy fun, just simple time together. We did them several times until bedtime. That was all Brut needed. And Brut was all I needed to remember life wasn't so bad because I had a Brut that no one else had and he was all mine. Life doesn't get any better or more simpler than that.